Often I see people cleaning their squid catches at the boat ramp or on television shows. The only piece kept seems to be the body. They throw away the rest. They are discarding perfectly good edible squid. Its a simple process to skin the wings and then use as you see fit. I just cut these wings up roughly, crumbed then shallow fried. Served up with salt and lemon it was a quick, simple but delicious lunch. Don’t waste the wings! totally agree with you. The wings is one of the best parts. I know some people literally ‘fought’ over this over the dinner table. LOL!!! I don’t just stop at the wings. I pretty much eat the whole thing except the guts. Raw is my favourite. well… I like raw (fresh) food – sashimi but I also have the liking for the guts (if cleaned and cooked properly). Actually it is one of the best parts too if cook correctly, I have eaten deep fried pork intestines with porridge and also beef tripe in the beef noodle soup. yum yum. =) (just to name a few) you should give it a try if you come to asia. Lots of it to try. 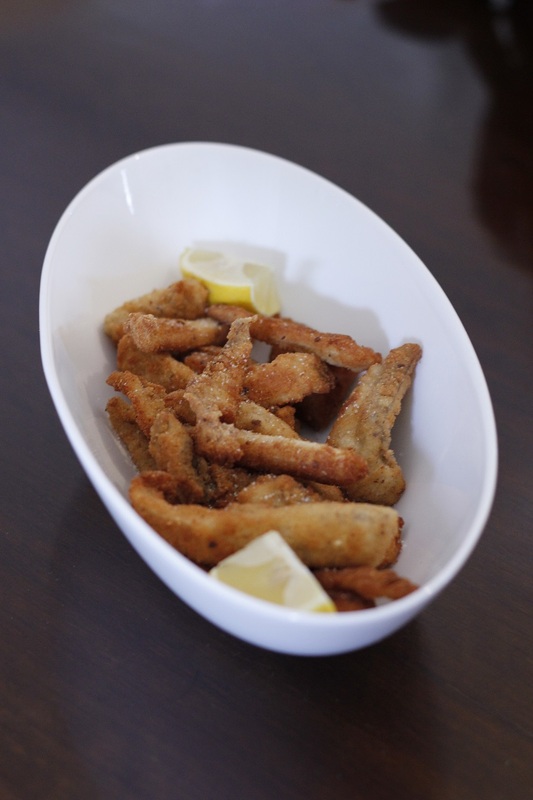 This entry was posted on July 15, 2013 by gourmetandy in Interesting bits and bobs and tagged australia, calamari, cephlapod, cooking, gourmet, hunters, jig, lemon, seafood, southern, squid.